Welcome to another edition of How To series on Secure Networks ITC. In this article you are going to learn the necessary steps on how to set up a small business network with one server. In addition, our network specialists will introduce network equipment you will need, network security procedures you need to implement to stay safe online and cover topics like file and folder sharing and managing workgroups. A business ecosystem consists of people within and outside the company, data and communication channels. If you want to have flawless communication between employees and clients you need a reliable network that will transfer data and easy communication not just between people but also with different equipment in the office – servers, workstations, printers, IP phones or fax machines. Remote work, access data from anywhere, low operating cost, efficient communication using VoIP phones are just a few ways to show how you can benefit from the efficient small business network. The best way to start this small network setup guide is to cover some basic terms and introduce hardware you will need. Since this guide is not meant for IT professionals we’ll explain some basic terms you will need to understand before you order your gear online. Router for computer networks is a device that joins or ties multiple networks together. Router finds the best route for data to travel. Furthermore, you can set the router to decide computer priority and set security measures and standards. Thus, it is one of the crucial devices in network system meaning that you can’t build small office network without at least one router. The router has a CPU, memory and I/O interface. Memory has embedded operating system or firmware. A few years ago, routers were devices used only for business networks. Today it is very common to use a router when setting up a home network as well. A business line of routers has a built-in firewall with anti-spam and anti-virus features. In comparison with home routers, they have the ability to set up virtual private network VPN server and enable secure remote work. We recommend using a wireless router. The average range for wireless routers is about 100 feet. If you think that is not enough, you’ll need additional access points. Consider using client WIFI adapters as well. They look like USB memory sticks with a small antenna. Expert recommendation: If you want a quality router that will last for several years, go with Cisco . Models like 891 ISR or 4221 ISR will do the job for most small office networking. They are high-performance devices with the highest level of security. Another consideration: Choose a WIFI Router Standard. We assume you will have both wireless and wired network in your office or Hybrid Office Network and take the advantage of both network types. If you choose to use WIFI routers you’ll have to make another important decision – choose networking standard. New desktops and tablets support 801.11n standard, but even if you have older devices with b or g wireless standard you won’t experience issues with connection, but they can slow down office network. If you need to send large multimedia files, consider using Ethernet connection. Wired connection is usually more stable than wireless one. Ethernet cables can be Cat5, Cat6, Cat7. 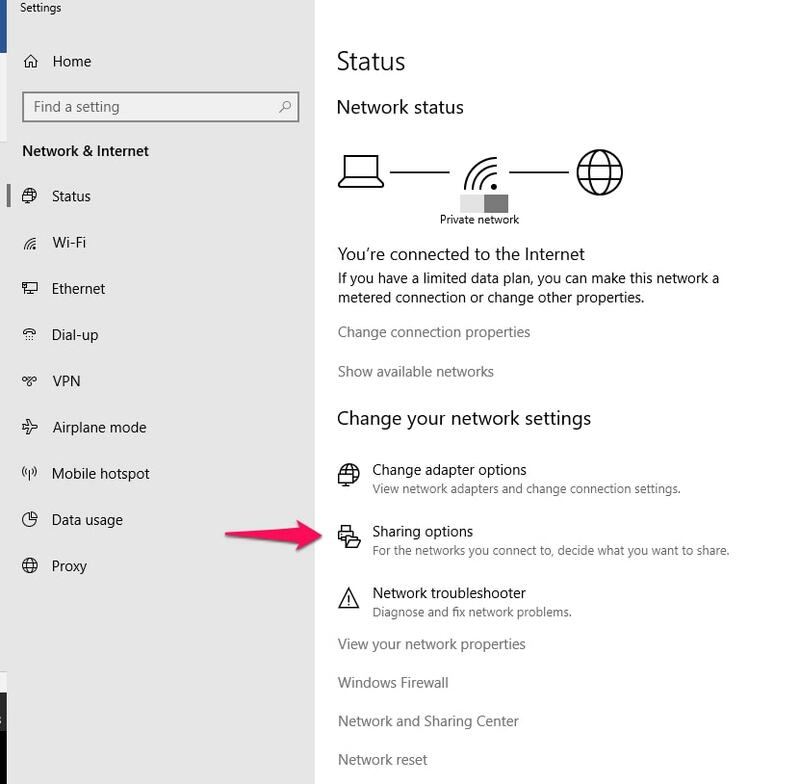 Choose standard depending on devices in the network. Cat5 supports just 10/100 networks. Cat6 and Cat7 are a good option if you need to transmit data over a long distance which is hard to believe for someone who is building small office network. As a business, you will probably go with both wireless and wired office network. Keep in mind that wired network is much easier to secure. But if you need to do wiring on your own, it can be tricky, especially if devices are in separate offices (rooms). Wireless office networks are way flexible, easy to install and maintain. Another device without it’s impossible to build small office network is a switch. The switch in networking connects devices like server, workstations, laptops or printers on the same network and allow multiple devices to communicate and share information. The switch can be managed or unmanaged. 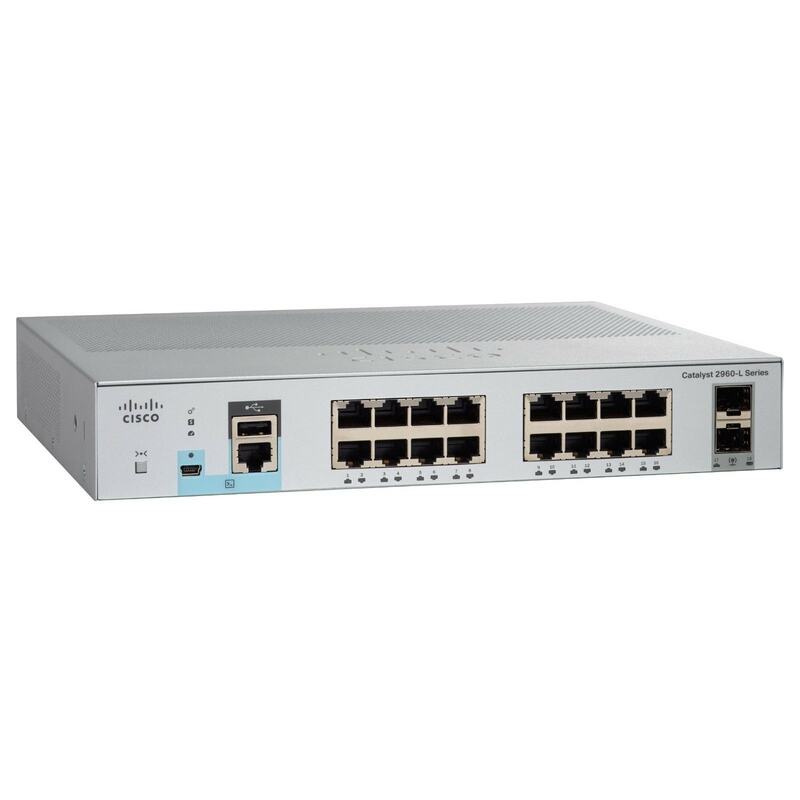 Unmanaged one doesn’t need to be configured and they can be added to the network right out of the box. Managed one, on the other hand, are packed with some rather cool features which allow you to configure security and other things both locally and remotely. Expert recommendation: Once again we must recommend trusted brand and device with reputation. Cisco line of small business switches both cloud and on-premise managed are a solid foundation for every small office network. No matter what series you choose it will provide you with speed, reliability, and ability to adopt latest standards for mobile networking. They are very similar devices, but the router has an additional feature to send data between different networks. Switch on the other hand is limited to communication within the same network. Both are cornerstones of the business network no matter if you are setting up a network with one or several servers and workstations. How to properly set office network without mentioning a firewall. Firewall is usually software that prevents malicious data packages to get inside private network from the public Internet and vice versa. A firewall can be found in many network devices. There are many types of firewalls, main are host-based and network-based firewalls. Also, it can be a hardware device. No matter what, the firewall is the first line of defense in network security for decades. the It’s a MUST if you want to set up small office network free of viruses and spam. The firewall allows you to see operating systems within network, users and their devices and make prioritization and apply security custom policies and rules to encrypt network traffic. 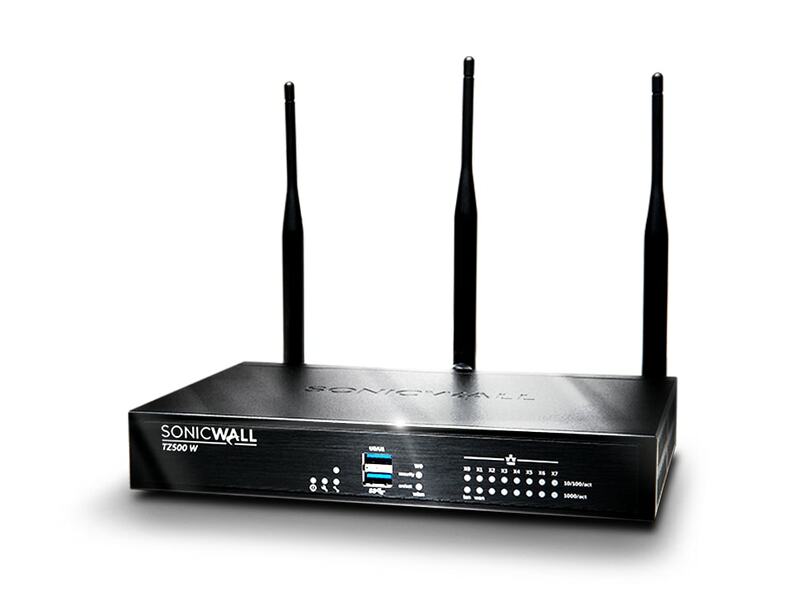 Expert recommendation: SonicWall firewalls are a great solution for small office networks. A broad range of products and fantastic quality are reasons to consider this manufacturer. No matter of model, entry-level TZ series or high-end SuperMassive series, they all offer great control over network, speed and some unique security features for the reasonable price. OK, main player steps into the game – SERVER. It is the essential tool in modern business. There are many articles online that can help how to choose a server for small business. Cloud solutions are very interesting these days but here we’ll cover on-site (physical) SMB servers. Sometimes small server looks the same as a desktop computer. The desktop is designed to accomplish simple tasks like writing in Word, sending emails, Excel calculations and browsing the Internet. All this is done by user interface within the operating system. The small server, on the other hand, is developed to deal with more complex tasks. Some to name are database management, shared calendars, massaging, printer services, sharing folders and files, set VPN and many other. Plus, they are more reliable compared to desktop computers. So, don’t ask your self “Do I need a small business server”? The right question is “What kind or what type of SMB server my company needs”? Cloud solutions are very popular, prices are going down and there is a lot of competition within the industry; we can say that we’ll get more for less money but if you run small or medium size business you can still be sure that on-site server will do the job perfectly. For less than $1,500 you can have a fantastic small server that can handle all your IT needs. Make plans for the future. Choose the server that can be easily updated with more RAM memory, CPU or additional high-capacity hard discs. Additional questions here are software and OS cost, do you need internal optical drive, RAID controller, etc. The server needs to follow business growth so choose smartly. What kind of server support you’ll get? Support is crucial when the server goes down for one or another reason. To prevent server issues, scheduled and preventive maintenance and support are very important. Consider support cost as well. Virtualization will eliminate the need for an additional physical server. To optimize workload of the server, using a virtualization software, you can create virtual servers by partitioning your physical server. Every virtual server can run different operating systems and applications. Does your server allow virtualization? Are you going to use the server for data backup, emails or file sharing? Are you going to host a website on your server? What about applications and Oracle or MySQL databases? Do you need to have remote access to the server? Do you intend to install IP phones in the offices? Of course, you don’t need one server for each service. Many servers can manage multiple workloads at the same time. Still, these questions need answers before you buy a server. Experts recommendation: The best SMB servers don’t have to be expensive and robust. There are many solutions from Dell, HP, Lenovo, and Asus. 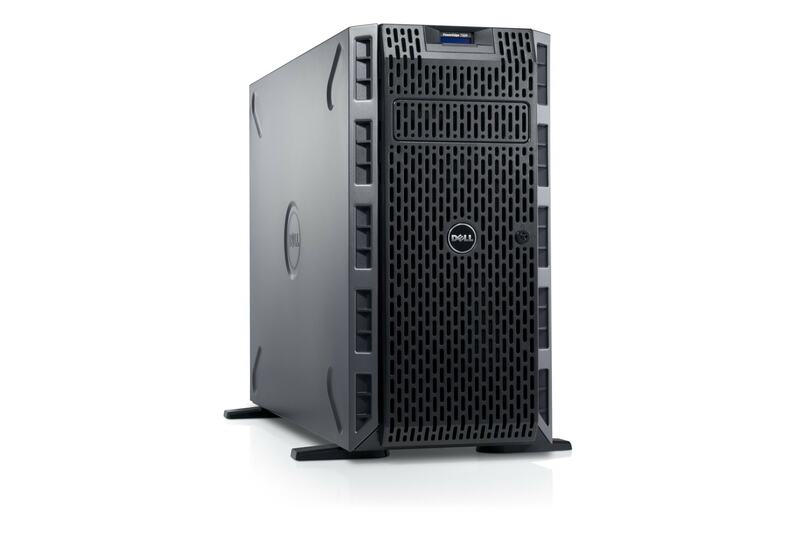 Secure Networks ITC server specialist always recommend DELL as the first choice for small and medium businesses. You don’t need server room for this kind of server, they don’t require additional cooling, racks or similar things. Dell EMC PowerEdge series series is perfect for SOHO (small and home offices) and SMB. With 1TB SATA hard drive, 4GB of RAM memory and Intel Xeon scalable processor is capable to successfully handle any workload today and in the future. You can use your smartphone for server remote administration. Dell has many special offers. Check them online and maybe save some bucks. After getting familiar with equipment let’s proceed with small business network setup diagram. Below is an example of small office network with one server. Along with server, you have firewall and router. As you can see firewall is the first line of defense, the icon next to Internet. You can use another firewall after WIFI access point to protect all laptops, desktops or smartphones who access office network wirelessly. This is just a simple example of LAN (local area network) infrastructure. You can always customize and make it suitable for devices in your company. Some of the networked computers can be easily replaced with the printer, fax machine or IP phone. 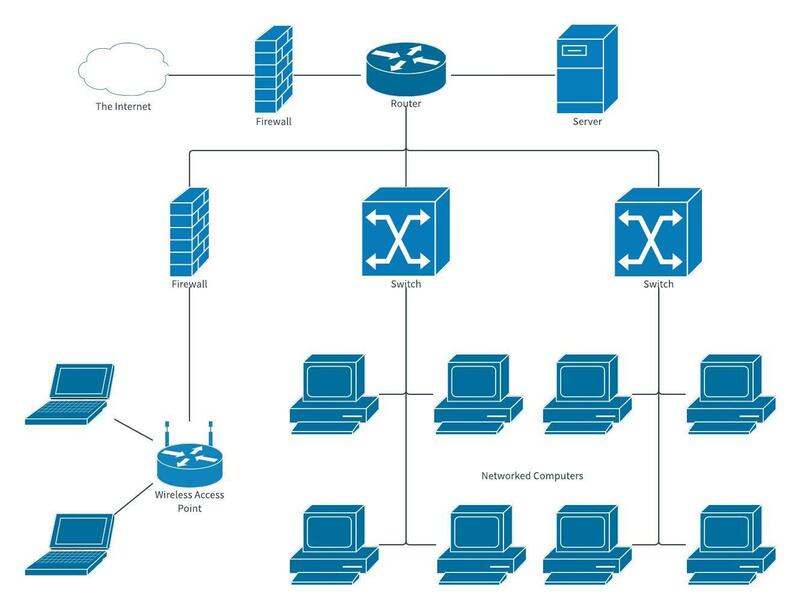 In this office network diagram, we did not add modem since your Internet service provider (ISP) will provide and setup modem for you. The network topology is crucial for the reliable and redundant network. There are other things to take into the consideration; IP addressing and subnet management, choosing internal domain names, data and network separation for better performance, licensing requirements, etc. Don’t forget to change router name and password after you set up and connect modem and router. All manufacturers have generic or default information for router access. Change them to avoid intrusion into your network. When finishing WIFI network setup, create a password and prevent unauthorized users connect to the business network. If you are running a restaurant or similar business, you can set dedicated WIFI network for guests and visitors only. After you have set up office network it’s time to set options that will allow network users to share files and folders or printers. That was the main reason to set up office network in the first place. 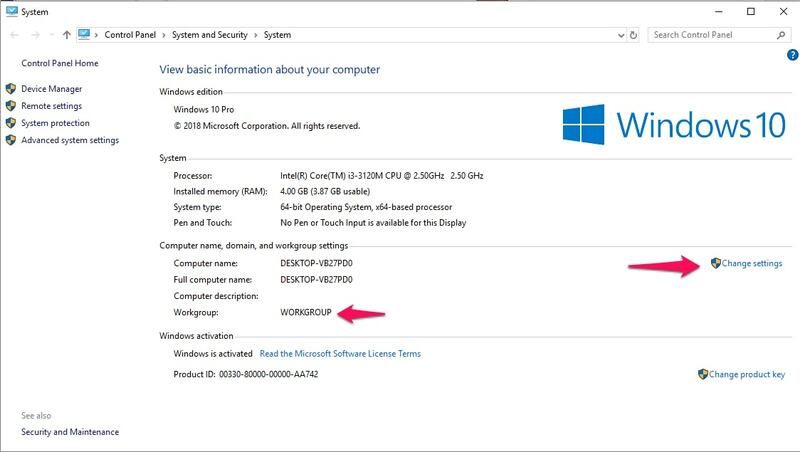 This guide is for Windows 10 users, but very similar procedure stands for other Windows versions. For other versions visit Microsoft support portal. 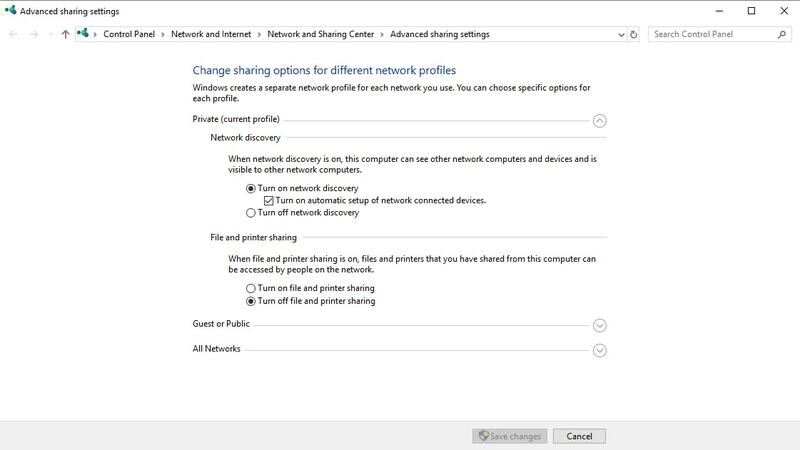 Turn on Sharing Options – When you connect to the network for the first time set sharing options manually for network discovery, network sharing, file sharing and printer sharing. File and Printer Sharing – Follow the same procedure for file and printer sharing. At the end click Turn on file and printer sharing. To share file or folder press right mouse button and click Share With. Now select people that you want to share file or folder with. Important: Use file and printer sharing options only when you are certain that other computers are virus-free, and you can trust them. 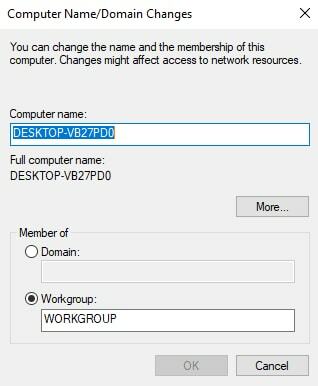 When you set up small office network Windows will automatically create Workgroup and give her a name. A workgroup is a group of computers within the same network that are connected in order to have sharing options, files or printers for example. They are similar to Homegroups. To apply settings, you need to restart your computer. Prepare for the worst – create a BACKUP for fast recovery. Cost of the small business network shouldn’t be high. You don’t need expensive network components you will never use. Choose wisely and always think about infrastructure scalability. As someone already said the network is bloodstream of your company. It has to be toxic free. Keep that in mind when start building your business network. This was a very basic guide on how to set up the small business network. If you think it is too complicated for you or you don’t have “in-house” IT staff then outsource this job to network specialists. Our Microsoft certified IT consultants will set up reliable, flexible and high-performance small businesses network you can rely on for years.